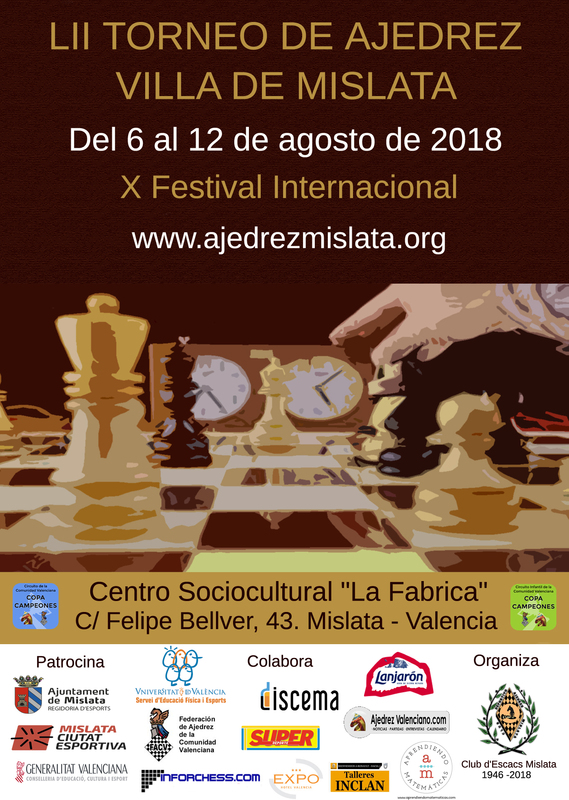 The Mislata Open is a 9-round Swiss tournament taking place from 6-12 August 2018 in Mislata, Spain. Venue is Centro Sociocultural “La Fábrica”. C/ Felipe Bellver,43. 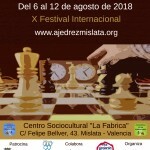 Mislata. The tournament is divided in 3 sections. Open A over 2100, Open B 1900 to 2100 and Open C U 1900.